Looks like Great Lakes Prep and I are on similar pages today, as we both posted about reversible bow ties for Bow Tie Friday. 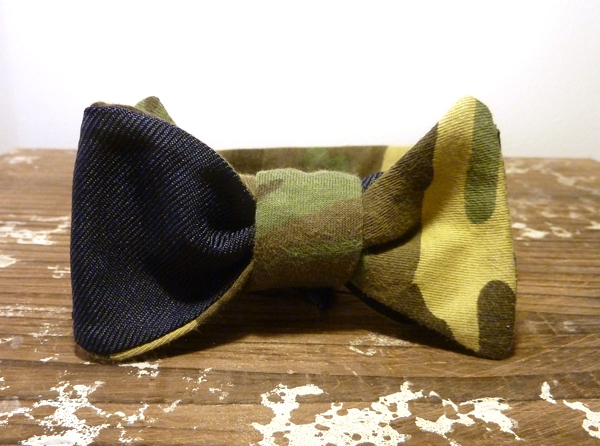 His was on Social Primers latest Brooks Brothers collaboration (which is awesome) and I wanted to make a similar version using a vintage camo shirt I recently purchased at Uncle Sam’s Army/Navy Store in downtown Buffalo. So I busted out the old sewing machine and created this little guy I call The Sgt. Hulka.